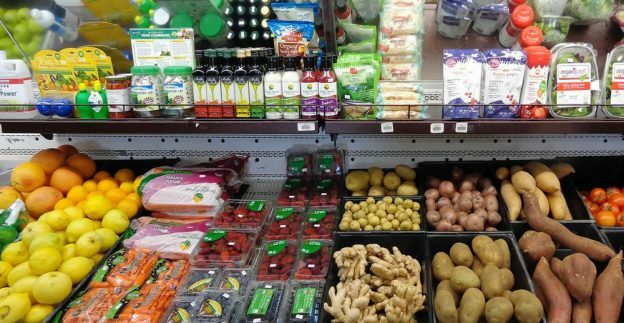 Canada's New Food Guide - What Has Changed - U-RAAW! I am extremely excited that the Government of Canada has just released a new and improved food guide. This new food guide has been long awaited. You may be familiar with the old guide, titled “Eating Well with Canada’s Food Guide” and published in 2007. Both the old and new food guides provide similar advice in regards to the importance of healthy eating and living. However, the new Food Guide has a completely different format and is very different in it’s specific pieces of advice. All of the previous Canadian Food Guides have encouraged Canadians to choose a certain number of serving sizes of foods from 4 food groups. This new food guide has drastically changed this – eliminating the established 4 food groups and the rainbow format. The 4 previous food groups were Meat and alternatives, Milk and Alternatives, Grain Products, and Vegetables and Fruit. The new formatting is called the plate method, and is seen on the front of the food guide. This plate method is an easy visual for Canadians to attempt and replicate. The goal is to have half of your plate as fruits and vegetables, a quarter as protein sources and a quarter as whole grains. By eliminating the food groups, there is no more emphasis on meat products and milk products. The new protein category on the plate method includes both animal proteins and plant based proteins, such as tofu, nuts and chickpeas. Later in the guide, it even says “Among protein foods, consume plant-based more often”. By decreasing the focus of meat in meals, the Food Guide acknowledges the health promoting aspects of a more plant based diet. All the while, this new Food Guide makes sure to not give hard cut guidelines that suggest specific amounts of types of food to eat. In this way it allows the guide to be much more versatile and applicable to every Canadian, no matter their personal food preferences or access to food. This is one aspect of the New Food Guide that has never been seen before on a Canadian Food Guide. Advice on eating patterns and behaviours are included in the new guide. For example, “Be mindful of your eating habits”, “cook more often”, “enjoy your food”, and “eat meals with others”. Healthful eating doesn’t just involve what you are putting in your mouth from day to day. Food health is much more than that! We should be making sure that our relationship with food and our food habits are healthy, both emotionally and physically. Food is such a huge part of our lives; we need it to survive! The need for food is one thing that all humans have in common. Personally, I am so glad that the new Canadian Food Guide has addressed the various aspects of food that are not directly related to nutrition. Food can have emotional and social purposes, while fulfilling our physical needs. 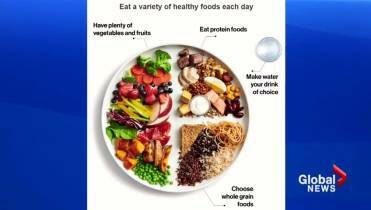 Canada’s New Food Guide even emphasizes the importance of cooking and eating together. I hope many Canadians will follow the guidelines of this new food guide, and experience the health promoting after-effects. Be sure to check out Canada’s official New Food Guide for yourself and let us know what you think!